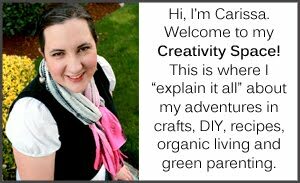 Have you ever seen a project on Pinterest and wondered "Is it really that easy?" or "I wonder if that really works"? Me, too! So I'm going to start a new feature segment of my blog called "Pin Tested: Carissa Approved!" for projects and recipes I try from Pinterest that are worth your time. 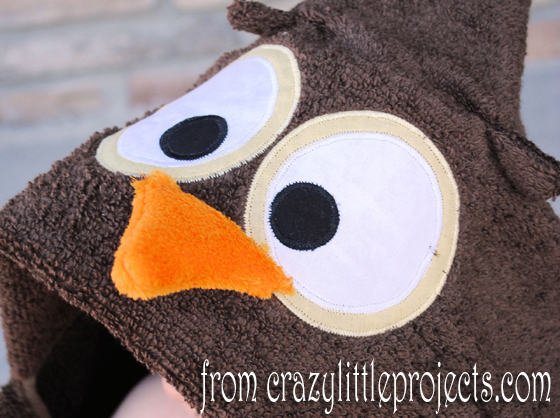 I saw the whole series of these towels on Crazy Little Projects and LOVED them. Amber does such a great job showing you how to make these and makes the whole thing look super easy. I decided to make one for my son's friend who turned two this week. The instructions are great. 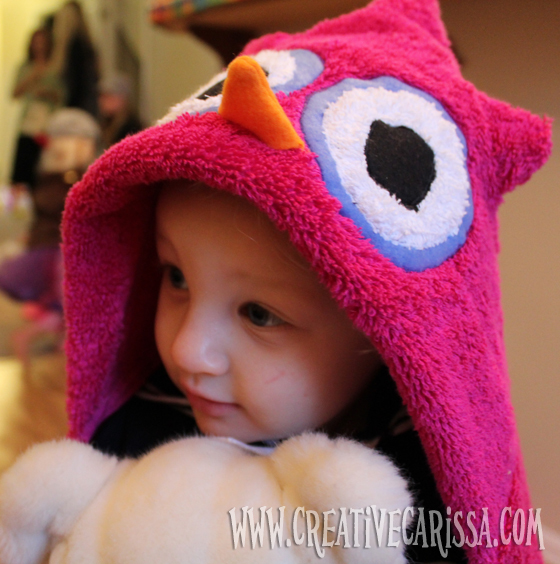 Make sure you read the original hooded towel tute she has for the frog first to get more details on how the whole process works. 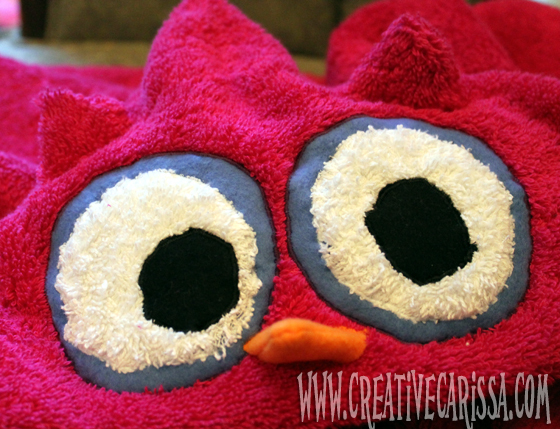 I used polar fleece(purple, black) and parts from a washcloth (white) to make the eyes. I didn't add heat and bond until the end - which was a mistake. I'd made the three layer eyes first and then used it to help adhere the eyes to the towel. I should have used it for each layer of the eye to make them smoother and prettier so I'll definitely do that next time. Also, if you've never appliqued before, I would do a test project on a piece of plain woven fabric to try out the technique first because appliqueing with terry cloth would be a horrible first project since the fabric can be kind of wonky. You'll want to have an idea of what you're doing first! But overall: Fabulous project! Inexpensive. Not hard. Took me about 90 minutes and most of it was spent making and appliqueing face parts. 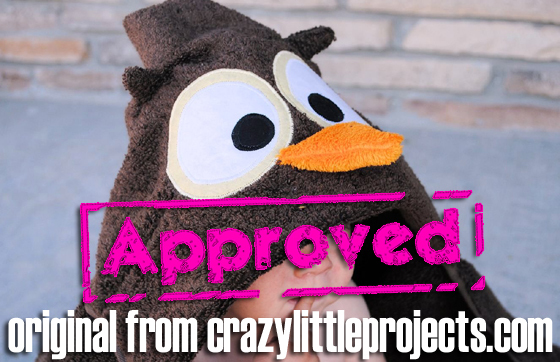 Check out the full tutorial and pin it yourself from Crazy Little Projects. SO Cute!! I love owls!